The Prime Minister and Member for Ialibu-Pangia,Peter O’Neill , has called for an end to individual interests undermining good governance in the Southern Highlands Province, and for all Leaders to work together for the people. 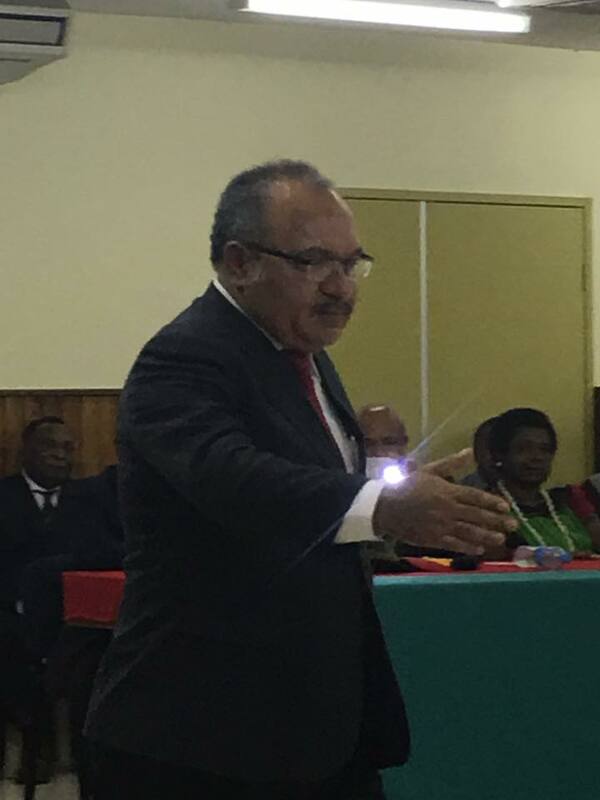 PM O’Neill made the comments after attending the first Provincial Executive Council (PEC) meeting of Southern Highlands Province since the 2017 National Election, today in Mendi. Following the swearing in of the Council, the Prime Minister commended the new Provincial Administrator and the Provincial Police Commander for advancing peace and stability. “After the election we saw displays of reckless self-interest by some individuals and this undermined stability in the Province,” the Prime Minister said. “With the new Provincial Executive Council we will see positive change and development once again in Southern Highlands Province. “I call on all public servants to focus on the task of restoring service delivery, and to step-up efforts to deliver better education, health services and public infrastructure. “Individuals who continue to try and undermine good governance by acts of self-interest, with no regards for welfare of the province, will not be tolerated. The Prime Minister said there are better ways to solve differences than destroying public property in which so much has been invested to improve the livelihoods of the people. “All leaders must set aside their differences and put the people first, it is because of the people that they were elected. “Leadership is not about winning, it is about demonstrating leadership through the right attitude and actions. PM O’Neill congratulated PEC members for attending the meeting and said the National Government stands firm in supporting the province.